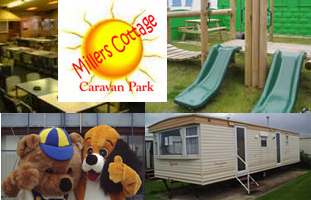 The Perfect Location Set in an ideal family location, Millers Cottage Caravan Park is within a few short steps of the beautiful Welsh coastline. The Park is family owned and run, with a host of entertainment both on the Park and in the local area for you to enjoy. The coastline is well maintained and provides all the family with the fun of the sea side. Why not spend your free time in your own caravan, come and look round our wide range of caravans for sale. You can stay for either 8 or 10 months of the year.